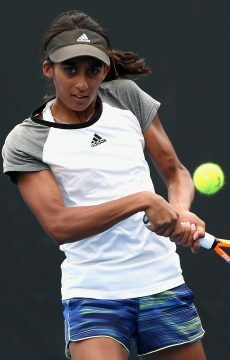 Astra Sharma stuns qualifying top seed Vera Zvonareva - a former world No.2 - while there were also qualifying wins for fellow Aussies Kaylah McPhee, Olivia Rogowska and Naiktha Bains at Melbourne Park. 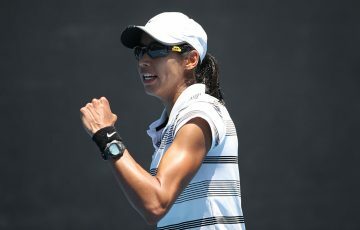 West Australian Astra Sharma has shocked top seed and former world No.2 Vera Zvonareva in their Australian Open qualifying round one match. Sharma only turned professional midway through last year after completing five years of college in the US but routed Zvonareva, who is currently ranked world No.95, 6-3 6-2. The 23-year-old completed a medical health degree at the prestigious Vanderbilt University in Tennessee before focusing full-time on her tennis career. Astra Sharma is through to the second round of #AusOpen qualifying, with a 6-3, 6-2 victory over former world number 2, Wimbledon and US Open finalist Vera Zvonareva! 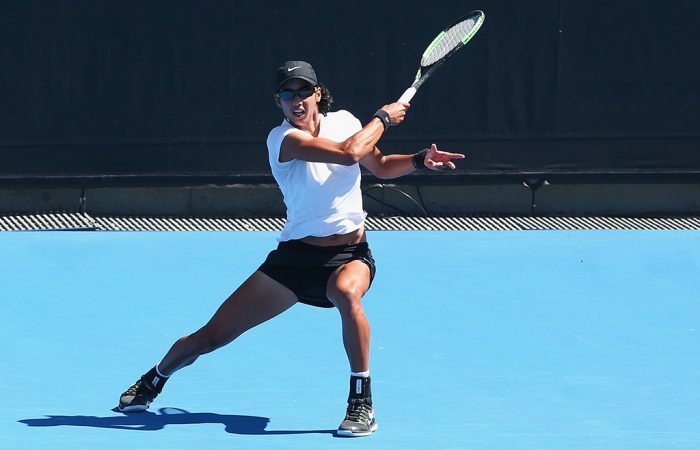 Earlier on Wednesday Queenslander Kaylah McPhee scored a straight-sets win in her Grand Slam qualifying debut, while Olivia Rogowska and Naiktha Bains were also victors. “I think I just loosened up. I started trusting in myself and believing in the work I’ve done, and it all came together,” said Sharma, who from 3-2 down in the first set reeled off eight straight games to turn the match on its head. After beating the 2010 Wimbledon and US Open finalist, Sharma next faces another Russian in Varvara Flink. 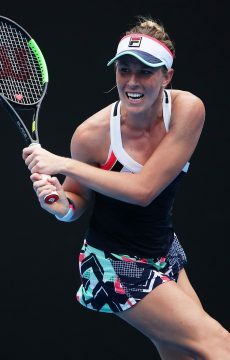 The 20-year-old McPhee defeated Kathinka von Deichmann of Liechtenstein 6-3 6-4 at Melbourne Park to move into the second round. She next plays 22nd seed Misaki Doi of Japan, who peaked at world No.30 in October 2016. 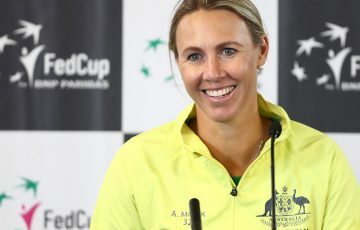 Bains came through an all-Australian affair over Maddison Inglis 6-3 5-7 7-5, while Rogowska saw off Katarina Zavatska for the loss of just five games. Rogowska’s next opponent is 25th seed Irina Khromacheva while Bains tackles Kurumi Nara. 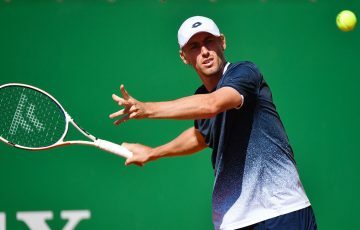 The quartet join Thanasi Kokkinakis, Lizette Cabrera and Isabelle Wallace, who won on Tuesday to reach the second round. Several other Australians were not as fortunate on Wednesday. 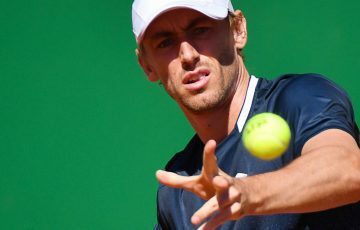 John-Patrick Smith will miss out on an eighth-straight main draw appearance after losing to 19th seed Matthias Bachinger 7-5 6-3. 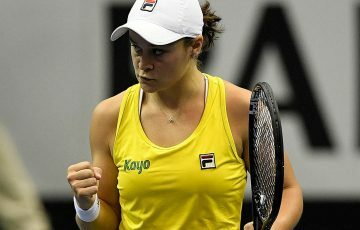 Gabriella Da Silva-Fick put up the sternest resistance of the Australian women, succumbing to Ludmilla Samsonova 6-4 4-6 6-3, while Abbie Myers and Arina Rodionova lost in straight sets. 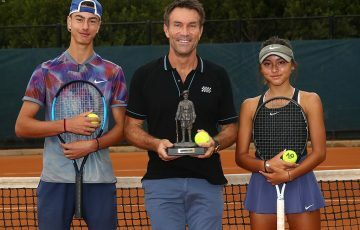 Max Purcell, Luke Saville, Akira Santillan and Alexandra Bozovic all went down in straight sets. Maverick Banes won the first set yet ended up going down to Britain’s James Ward 3-6 6-1 6-2.